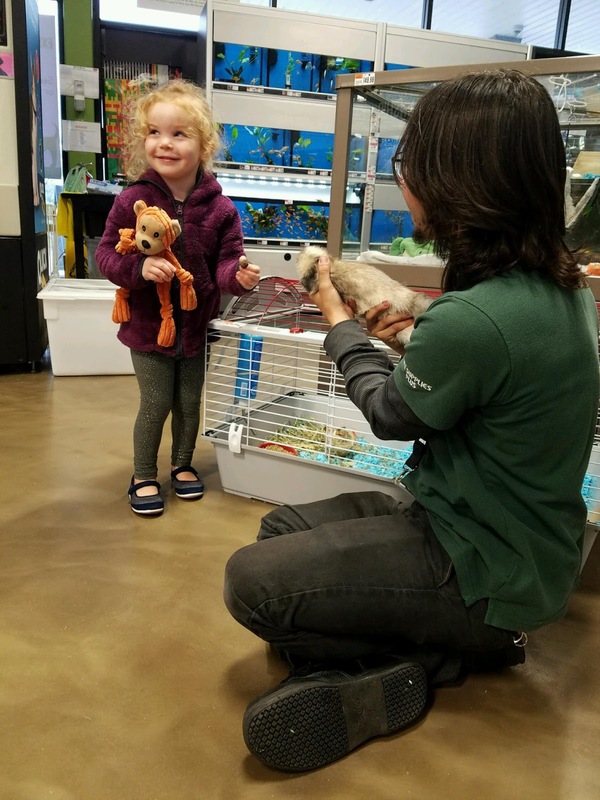 Pawsitive Impressions: Wall, New Jersey Team Doesn't Monkey Around When A Little Girl Loses Her Toy! Wall, New Jersey Team Doesn't Monkey Around When A Little Girl Loses Her Toy! Our district team leaders often contact us with stories of magical moments they witness in their stores. This quick note from Jeff in New Jersey falls right into this category - and the story definitely has a little bit of magic! In the meantime, the managers and I got together, and we decided to purchase a monkey that we sell at our store for Olivia to see if that would help make her smile again. As you can see from the picture, between her new monkey, and the ferrets, we got Olivia to smile and be happy again. Mom thanked us a hundred times and could not have been more appreciative of what we had done for her daughter. Really great work today by everyone in Wall, New Jersey!